A selection of Escorial 3-ply yarn and Escorial/ mohair blends. 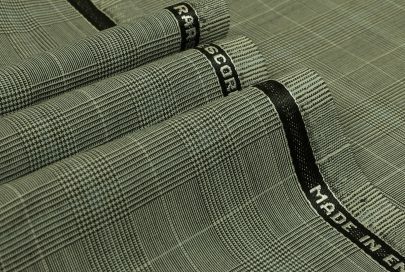 Offering one of the worlds rarest and most exclusive fibres in a handpicked selection of patterns with a modern day performance. Embracing the unique properties from the rare Escorial yarn and using both traditional modern day weaving and finishing techniques complimented with the addition of summer kid mohair we can offer a rich and extremely soft collection with both substantial handle and high resistance making it resistant to excessive wear, a joy to wear whilst travelling and an achievement to own.